Alma’s partner is ill, and has to be treated without fail every 4 hours, a task that only Alma can do. If she misses the 5 minute window her lover will die. She is one of the few not to access the Shine. Set in world where people are addicted to the Shine, a virtual reality way more interesting than the real world, The Real-Towns Murders follows Alma, a private detective trying to solve a locked room mystery. The situation? A body was found in a car booth of a car factory. The problem? Video footages show the car being built to scratch by robots and no humans entered the factory during this span of time. You could blame the AIs taking those footages but infortunately, they are incapable of lying, which means that a body magically appeared in the car while it was built by robots. So how the hell did it manage to appear in this place and why? It is the mystery our dear detective Alma has to solve. However, soon after she’s engaged on this particular mission, she found herself in a lot more than she bargained for: it appears that the government doesn’t really want her to find who did it or why and if she really want to solve it, she’ll have to do it with government agents trying to stop her. Of course, in a daily normal life, having to prevent someone from dying horribly every four hours isn’t exactly stress-free but, when you are being pursued by governments agents who clearly want to kill you, it’s even more complicated, especially when the partner in question is so big that it can’t leave your home. This book is utterly crazy but the kind of crazy I love: it is crazy in a very clever way. It’s quite funny and quirky but at the same time, it really managed to deal with serious issues. In this world where everyone escape in the Shine all the time, the Real Towns or R!Towns are left empty and the only ones roaming the streets are robots or people immersed in another world entirely. No one interacts directly anymore prefering the confort of conversations through screens and Roberts really managed to show how it affected the society and the way it was reshaped by this fact. The whole book was an extreme example of how the future could turn out to be if we continue to bury ouselves into our smartphones and computers. It really made me think about how social media change the way we interact. Yes, it allows us to communicate way more easily but at the same time, it creates a barrier between people. In the Real Town Murders, people are so used to dealing with each other through screens that they are almost incapable to have a normal conersation face to face anymore (it made most of the dialogues in this book pretty hilarious!). If you are looking for a fun read with important themes and discussions, I would highly recommend this book, I haven’t read many things by Roberts (even if I own most of his works) but I really need to fly through his backlist because he has really interesting things to say and I really like how he says them. I received a copy of this book through Netgalley. My thanks to Gollancz. All opinions are my own. The New Voices of Fantasy spotlights nineteen breakout writers who are reinventing fantasy right now. 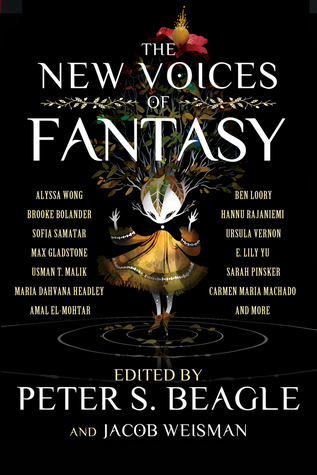 Usman T. Malik, Sofia Samatar, Eugene Fischer, E. Lily Yu, Ben Loory, Maria Dahvana Headley, Ursula Vernon, Max Gladstone, and other emerging talents have been hand-picked by fantasy legend Peter S. Beagle (The Last Unicorn) and genre expert Jacob Weisman (Treasury of the Fantastic). International, crosscultural, and fearless, many of these rising stars have just or are about to publish their first novels and collections. They bring you childhood stories gone wrong, magical creatures in heat, a building that’s alive and full of waiters, love, ducks, and a new take on a bloodsucking fiend. Tne New Voices of Fantasy is an anthology collecting all sorts of fantastical tales by new(er) fantasy authors: all the stories present in this anthology were previously published in several venues in the last few years You probably have read or at least heard about some of the authors featured in this anthology such as Max Gladstone, Alyssa Wong, Hannu Rajaniemi, Usman T. Malikin, they are all fairly new authors (even if some have been published a lot of things in the last five years) and this anthology is great opportunity to discover really interesting works by auhtors new to you! This anthology is composed of very different types of fantasy and all the authors here have their own style and stories to tell but, even each short was different from one another, I really enjoyed how well The New Voices of Fantasy flowed . I enjoyed most of the stories which is not always an easy feat for me and I discovered or re-discovered amazing stories. If you think fantasy is only about elves, trolls and witches, you will be impressed to see how extraordinary diversed this collection of stories is. If the future of the genre is sampled in this book, we are in for a treat! Well, this is now the third time I read this story and the third time I talk about it on my blog! It follows the story of a girl who uses Tinder in order to find the worst dates possibles and feed off their impure thoughts. Until the day her date isn’t a petty criminal but an actual murderer, the one thing her mom warned her against: once your tasted those thoughts, you can’t go back. I have to say that this story is not the most re-readable story, it is very good but, the third time I was a bit bored since I knew and remembered all the twists and turns. However, I am still glad this story is featured here since it is a very interesting story and I really admire Alyssa Wong’s writing. It’s definitely a great opener (and even more so if it’s the first time you read it!). This tale is a mesh of stories all focused on the selkie’s myth, creatures able to shed their skins to turn into humans. The writing of this story was amazing and I really enjoyed the quiet and eerie tone of this story. I was a bit confused at the beginning but after a few pages, I was hooked. I definitely need to read more of Samatar’s works (short fiction and novels!). It’s a story of a tornado falling in love with a teenage girl. It had a light hearted tone but I found it a bit underwhelming as a whole. Set in village where a local pond has the bad habit of swallowing people, we follow a group of teenagers as they try to overcome several of their problems, it is a very short but powerful story about love and grief. This modern retelling of Vlad the Impaler follow him as he is trying to live a normal and boring life raising his kid as well as he can while controlling his vampire urges (such as draining of blood his son’s schoolteacher). This was also a re-read and I loved this story as much as the first time, everything about this story worked for me, the writing, the tone, the pacing and the characters were all exactly to my taste! I really need to seek out more stories by Gladstone. This short story is a whimsical tale about jackalopes, creatures able to turn into beautiful girls. Of course, many mens desire them as they are inacessible and magical, however, the only way to caught them is to steal their rabbit coats to force them to remain in their human forms. Jackalope Wives follows the story of such a trapped creature and it is heartbreacking and beautifully written. It was the second Ursula Vernon’s story I read and I really need to read her other works! This story follows the interactions between bees and wasps and how one oppress the other, all of this caused by human interventions. I can’t say that I understood everything about this story by the writing was gorgeous and I would have a read an entire book about the subject. The Practical Witch’s Guide to Acquiring Real Estate is exactly what it clamied to be: a section by section guide on how to acquire a house when you are a witch! It was lighthearted but a lot of jokes fell a bit flat for me. Compared to the other stories of this collection, this was underwhelming. Set in a New York where all the buildings can move on their own, this little story follows the love affair between the Empire State Building and the Chrysler Building. This story left me a bit indifferent, it might have grabbed my interest more if I could visualize this version of New York better but the first half of the story confused me a lot and after that, I just didn’t care. However, it might just be a personal thing, I have read a few other reviews of this anthology is this story seems to be the favorite of everyone so take that with a grain of salt. A woman has to deal with her dead lover when his old spacesuit comes knocking at her door.This very ell written short story deals with important topics such as love, living our dreams and gender discrimination. Following two losers who gain money by pretenting to be dragonslayers, this story had very interesting discussions on parenthood. It is probably the most “typical” fantasy story of this collection as it is set in a clearly secondary world and it features classic elements such as dragons and quests. However, it was really interesting to see how the tropes were reversed in this story. A woman cannot stop herself from investing all the magical things happening around her and we are here to find out why. This story is about grief, love and finding yourself back after a traumatizing experience. It would have worked better for me if it had been longer because I would have preferred to have some information delivered more slowly but I still liked this story. Felicity has always seen herself as tiger trapped in the wrong body and her boring human life is slowly driving her insane. This story is about dreams and following them in a world where no one want you to be truly yourself. I have mixed feelings about this story, I liked the fact that the main protagonist is middle aged since usually those stories target younger characters but at the same time I had issues connecting with this protagonist as she was pretty unlikeable and crazy. But still, it was an interesting story and I’m glad I read it, I usually like JY Yang’s stories so it was nice to see one of their stories in this anthology. The Duck is the shortest story of the anthology, it’s a couple of pages long and it follows a duck who is in love with a rock. This was a delight to read even if I’d say half of it went over my head, the writing was gorgeous and since I never heard of Ben Loory, I am very glad for the discovery! The more I read Amal El-Mohtar’s works, the more I admire her. Her writing is something from an another world, I swear to god, I don’t know how she does it. This little piece is about secrets and trust and you should read it. This is a collection of three separate stories about fathers and sons. It was interesting but I don’t have a lot of things to say about them since I mostly forgot the details of each mini stories. I do remember that the writing was good though so there is that. A tale about colonialism that could have been much more interesting of the main character wasn’t such a self-centered idiot. It was obviously done on purpose but reading from this perspective wasn’t fun at all and I was bored from the start which is a shame since the themes of this story were pretty interesting. This was my second time reading this phenomenal story and it left me in tears like the first time. I don’t even want to say what this story is about because I think it would spoil the pleasure but it is about life and expectations put on women since their birth, it’s about of the society shapes you, consent, motherhood and the freedom to be who you want. Amazing, amazing, amazing. Following a man who grew up listening to his grandpa’s tales about princessed, jinns and eucalyptus trees, this novella is a powerful story of love, between lovers, family members and to your home. Highly recommended. Remember when I said that I was going to read and post a lot this summer? Oh well, it didn’t happen since I ended up very busy both in July and August. It was mostly the good kind of busy since in July I traveled which is always an amazing experience, I went to Prague and to Toulouse with friends and I really enjoyed both places! In August I worked full time in a métro station as a tourist assistant, it was mostly not fun at all but at least I practised my English and my very rusty Spanish so there is that! Anyway, even if I have not read as many books as I wanted and that I didn’t manage to be a very good blogger, I read some really amazing books especially in August so I am very happy with this! Infortunately, I had to put this book down after 25% because I wasn’t enjoying at all. I was very confused and I couldn’t understand what was going on at all. The worldbuilding was interesting but maybe a bit too ambitious or just not very clear: so many races, characters and storylines were introduced at the same time and I couldn’t keep track of everything. 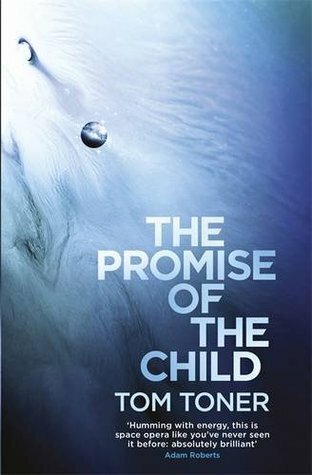 The writing was good so I will watch out for Toner other works in the future, The Promise of the Child being his debut book, his style might improve quite a bit in the future and it was interesting, just a bit too complex for me. I received a copy of this book through Netgalley, all opinions are my own. This month I read two amazing five stars books: The Stone Sky, the last book in N.K. 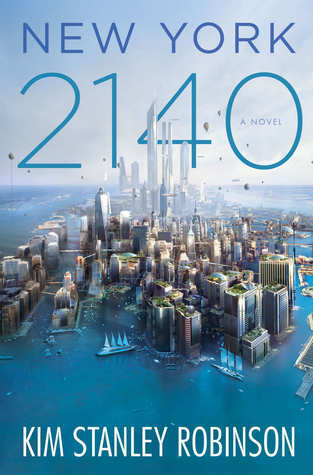 Jemisin’s Broken Earth trilogy and New York 2140 by Kim Stanley Robinson! I will be reviewing them shortly but both of those books are going to end up on my Favourite Books of the Year list that’s for sure!! 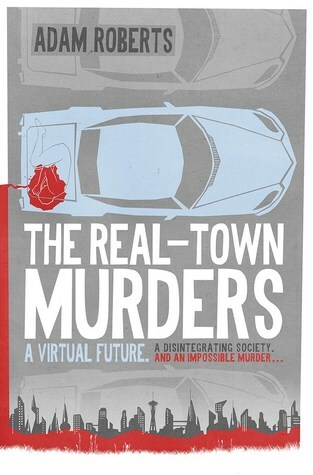 Right now I am currently reading an ARC of Real-Town Murders by Adam Roberts, it is a near future sci-fi thriller and so far it is both hilarious and very clever so I am enjoying that a lot. I also just started the audiobook of Station Eleven by Emily St John Mandel, I have only listened to the first chapter so far but it was really interesting. I don’t have a lot of plans for next month but I would very much like to finally read Ancillary Justice by Ann Leckie. I also need to read the ARC of Null States by Malka Older. If I have time, I may squeeze-in a re-read of Too Like the Lightning by Ada Palmer because I want to read Seven Surrenders but I really don’t remember enough of the first book to read its sequel now!